My drawing of L. One dag I was just like, "You know what? Let's draw L!" idk, Is this a detailed enough beschrijving for you?. 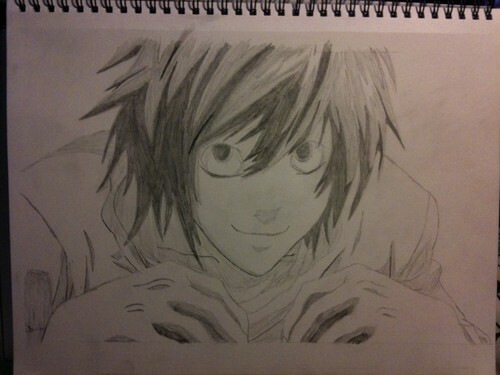 HD Wallpaper and background images in the Death Note club tagged: photo l death note drawing.